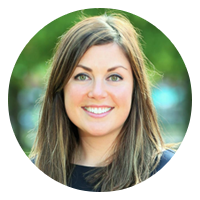 Born in Dublin, Orla qualified as a Dietitian from Kings College London. Orla initially obtained an honours degree in Physiology from Trinity College Dublin, allowing her to apply her detailed knowledge of the human body to the nutritional management of performance. She has since achieved an MA in Physiology from Trinity College Dublin as well as an MSc in Clinical Nutrition at Roehampton University, London. Orla has a personal interest in sport which naturally lead onto a professional involvement in Sports Nutrition. Orla obtained her fourth postgraduate diploma in Sports and Exercise Nutrition, at the University of Ulster. She is also ISAK Level 1 trained, which is an accurate method of assessing and monitoring body composition. Orla currently holds a clinic in the Dublin Nutrition Centre, Dublin 2. Additionally, she currently works with the Sport Institute Ireland and Athletics Ireland. Orla was involved in the nutritional management of many athletes leading up to the 2016 Olympics in Rio. She has worked with, and currently works with, a broad range of High Performance Elite athletes and sports. Orla is a qualified Dietitian and member of the Irish Nutrition and Dietetic Institute, registered with CORU and on the Panel for the Provision of High Performance Sport Services in Ireland.